The first time, it was 400 frogs in a backpack. It was 1998 or perhaps 1999, and Colombian conservationist Ivan Lozano-Ortega was working at the Bogota Wildlife Rescue Centre—a drop-off point for the authorities who confiscated living animals from smugglers. Their catch that day had been a batch of poison frogs. “The frogs were in small containers lined with wet tissues,” remembered Ivan, adding that each container had been designed to hold a single amphibian but the smuggler had stuffed four or more in. By the time the backpack was confiscated, many of the most fragile animals were already dead from stress. A week later they found another 48 frogs in a diplomatic envelope on its way to Barcelona. It had been opened at the border when it began to leak. Ivan and the team at the rescue centre scrabbled to save as many as they could but they were hopelessly unprepared. “We didn’t sleep for four days,” said Lozano-Ortega, recalling the desperate attempts to build containers with the right temperature and humidity and find the insects the frogs would eat. But the days to come would bring other amphibians to the center, and Lozano-Ortega began to see how the smugglers were wreaking havoc in the wild. 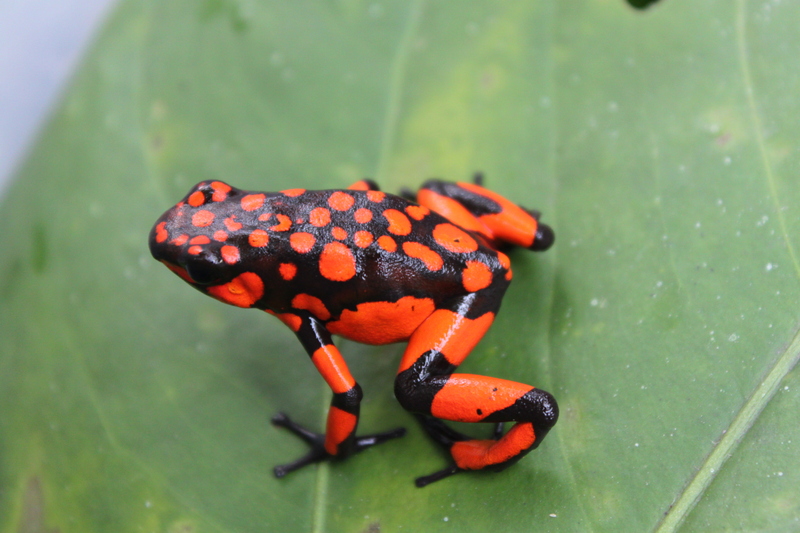 Colombia’s brilliantly colored poison frogs are among the most toxic animals in the world. They are usually tiny—ranging from as small as .6 centimeters to 1.5 centimeters long, but any predator attempting to take a bite would be courting paralysis and death. They are also known as poison dart frogs, a reference to how native Indian tribes reportedly rubbed their arrow tips along the tracery of glands on the back of a golden poison frog—the most toxic animal alive—before they went hunting. The team’s research revealed how vulnerable these amphibian populations were in nature. In Colombia, climate change and habitat destruction due to human encroachments had put them at risk. The frogs could also fall victim to a particularly devastating disease—the chytrid fungus was leading to mass die-offs of amphibian populations across the globe. The first to admit he wasn’t a “frog man”, the conservationist was still determined they would not vanish on his watch. He realized that the only way to protect the wild populations was to beat the smugglers at their own game by offering collectors competitively priced and easily obtainable legal frogs. With the financial help of two partners—his uncle and a local conservationist— he created a business so that people could buy frogs reared on a farm explicitly for the pet trade instead of the wild. The frogs would be disease free, individually certified and logged into a database. Local communities too would benefit from being employed by the project. That was in 2006. The years that followed would test Lozano-Ortega’s conviction. At first, things seemed to go well. 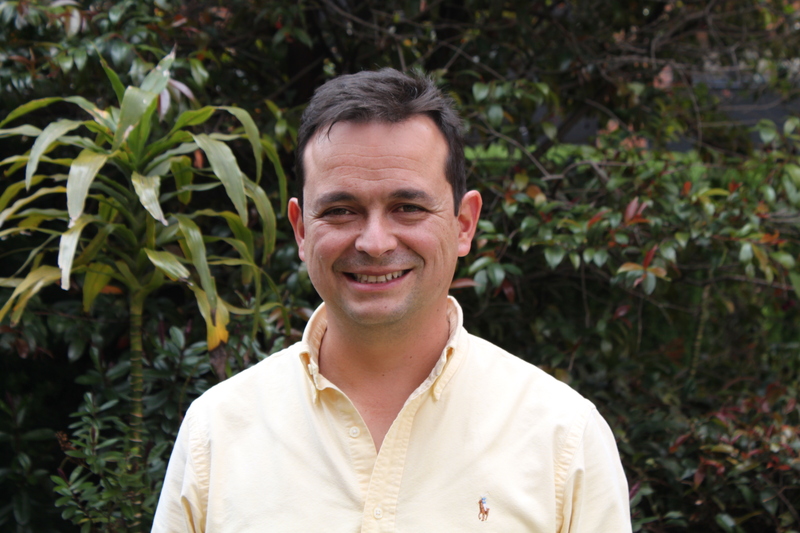 They dubbed the new business Tesoros de Colombia (meaning treasures of Colombia), and set up a farm six hours away from Bogota where they were soon breeding animals. They frogs thrived but the business itself was stalling. The only hitch was that Colombia had never agreed to export a native species before and the government would simply not issue the export permits. “We had this huge collection, and no one to sell them to,” said Lozano-Ortega. His partners became impatient and he had to buy them out. He took some loans. Things became tight at home. He sold his car. His mind wasn’t on his other consulting work, which really paid the bills. He and his wife had to explain to their two little girls why they could no longer go on vacation. In November 2011, Tesoros was finally granted a permit to legally export native frogs for the first time in Colombian history. But the permit only extended to the yellow-striped poison frog (Dendrobates truncates). It wasn’t until 2015 that Tesoros was given permits to export several other well established hobbyist species such as the green and black poison frog (D. auratus), the Kokoe poison frog (Phyllobates aurotaenia), and of course, the king of them all, the golden poison frog (P. terribilis). Alberto Cadolini was waiting to receive them in the US. It wasn’t until late 2016 that all the details had been ironed out and the first breeding pairs of poison frogs arrived in New York City. Cadolini was an enthusiastic collector who had actually visited Ivan in Colombia even before Tesoros began its exports. The two men discussed the possibility that Tesoros might not survive or that the permits—so hard won—could be revoked at any time. So it was decided that Cadolini would become an official breeder, and would help ensure the animals had toehold outside their native country. Cadolini told me he used to be a gecko man, until he developed an unfortunate allergy to mealworms and crickets that meant he could no longer feed his pets. He sold the geckos and moved on to frogs, developing a particular fondness for the nine varieties belonging to the genus oophaga. Greek for egg eater, oophaga mothers would go from bromeliad to bromeliad, laying a meal of a single unfertilized egg for each of their young. Cadolini loves to watch this ritual. He keeps some 100 frogs in terrariums in his basement. “Every morning, I make my coffee, and I go into the frog room and I just sit there and watch my frogs and enjoy the calls and see what they are doing,” he said. 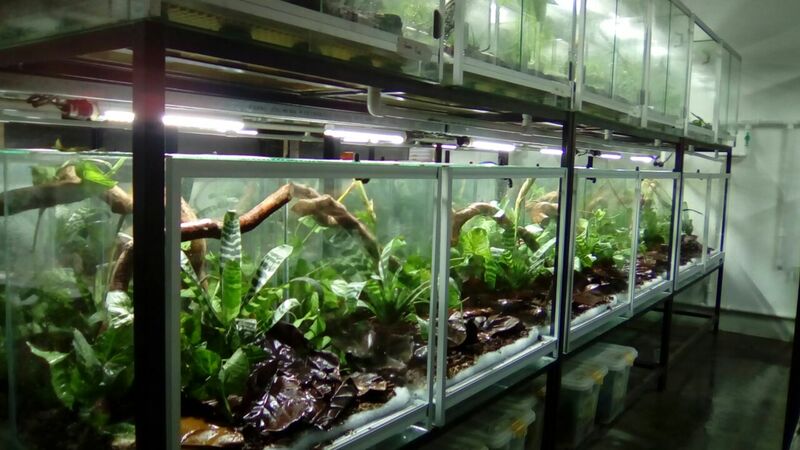 Collectors like him are willing to pay for this pleasure, forking out around $50 for the most common species like red-headed poison frogs or the super blues, and as much as $1500 for red-banded poison frogs, listed as critically endangered by IUCN. But the rest of the gear is quite affordable, akin to installing a fish tank. Cadolini’s set-up is high end. The two-foot glass cubes all have inbuilt misting, drainage and lighting systems. Little spotlights mean a frog can bask in the heat or climb down to the lower reaches, where, among the shadows of the bromeliads, she can find cooler climes. Ledges lining the boxes offer the perfect spot from which an amorous frog can survey his territory and call out to his mate. Back in Colombia, things are finally looking up for Lozano-Ortega. In 2017, he drew a salary from Tesoros de Colombia for the very first time. Last year, a controversial peace deal brought an end to 52 years of fighting between the state and the Revolutionary Armed Forces of Colombia (FARC). Now some of the forests and wild areas, which had previously been off limits, are likely to open up. He knows time is of the essence. His work feels more crucial than ever before. Published in Motherboard, VICE on May 30, 2017. By Smriti Daniel. Pix courtesy Tesoros de Colombia.